Transport on 12-3-12 to Medford Oregon. Rescued by Southern Humane. 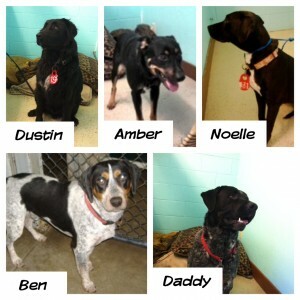 We had Shasta County Animals at Petco on 12-2-12 for adoption. Lilly was adopted. 12-1-12 Kitty Capers and Mutts saved 26 cats tails and sent them to rescues in San Francisco from Shasta County Animal Shelter. 12-1-12 LJ went to rescue. 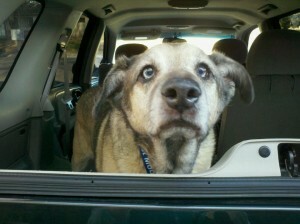 He was from Shasta County Animal Shelter. 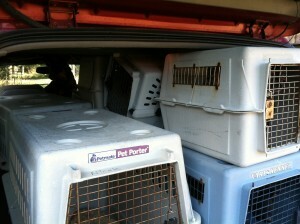 2/3/12 – Sorry no photo today – We are on the move today! 19 dogs went out to rescue: 4 from Shasta County, 1 from Lassen, 2 from Tehama, 7 from Glen, and 5 pups that were give aways from in front of Wal-Mart. Thank you drivers and thank you Milo Foundation and Copper’s Dream. 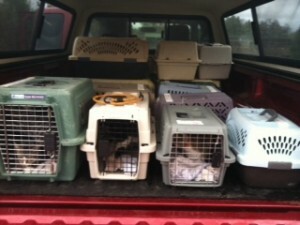 1/14/12 – Rudy and his brother little bit on transport to a rescue 5.5 hours away.